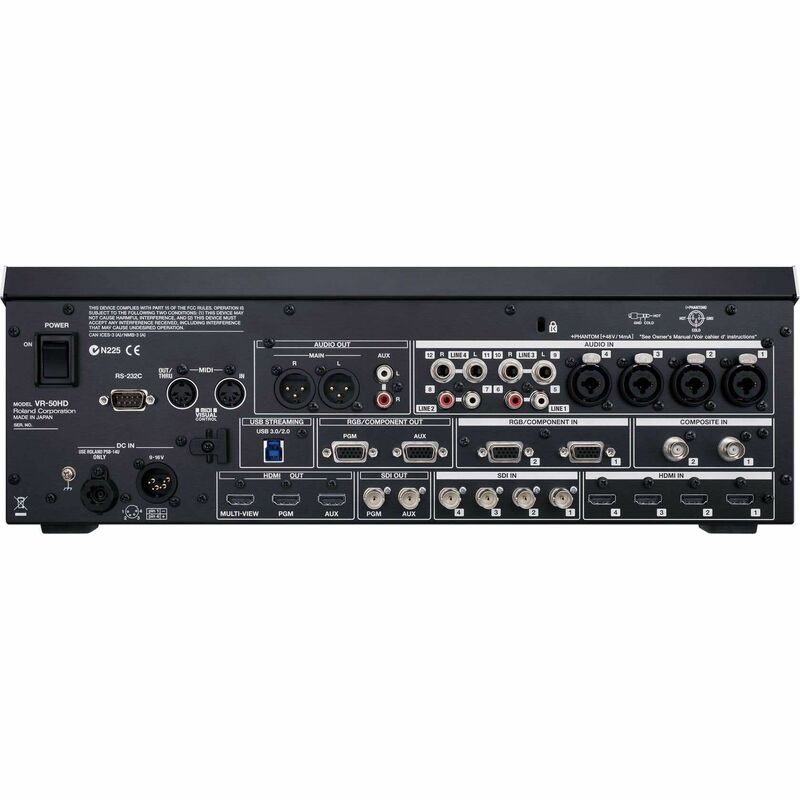 With four HDMI, four SD/HD/3G-SDI, two RGB/COMPONENT, and two composite inputs, the VR-50HD provides you with 12 inputs for the four video channels. 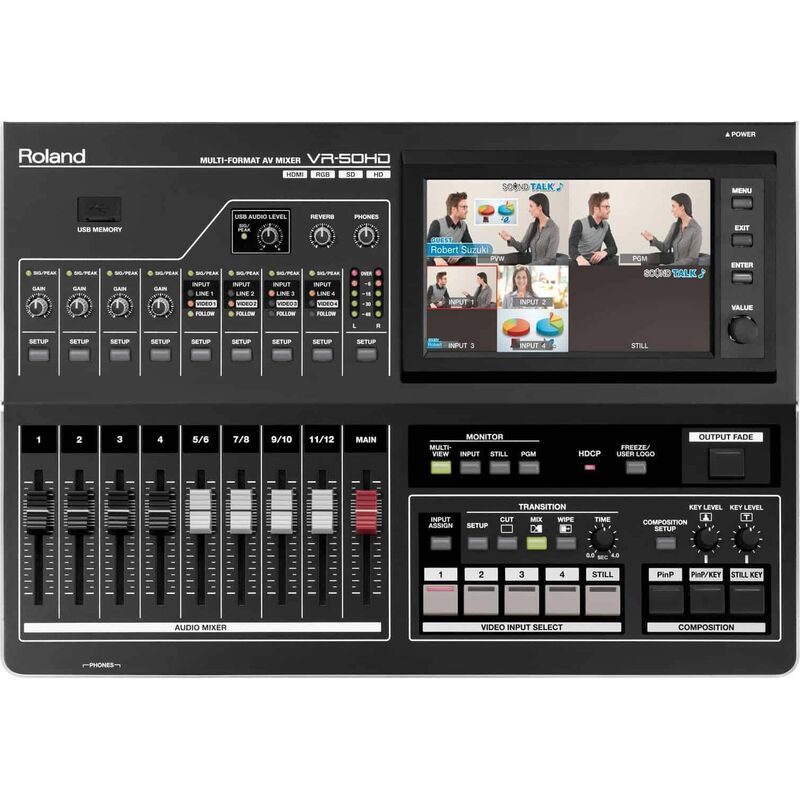 All inputs are active all the time, so you can connect up to twelve input sources at one time, although the mixer only switches video from four sources at one time. 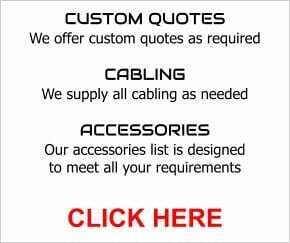 The wide variety of input connectors allow you to connect professional HD cameras, computers and Blu-ray and DVD players, as well as video cameras using composite output. If four inputs aren't enough, you can also assign an input to each of the picture-in-picture channels. This allows you four input sources plus two more full frame sources that you can transition to, for a total of six input sources. The unit features multi-format specifications that allow you to mix sources with different resolutions. Please note that the frame rate/Hz must be the same between the multiple sources, so, for example, you couldn't switch between a PAL source and an NTSC source. The frame rate is selected in the system menu, and your input sources must match that frame rate. As long as your input sources match the selected frame rate, the unit will scale the input signals to match the selected output. Each input features an individual scaler that scales the resolution to the output format. You cannot mix different frame rates or standards. The VR-50HD also allows you to scale the finished output via a menu setting. Select from cuts, dissolves and wipes. You can set the time for each transition between 0 and 4 seconds. The Composition buttons let you instantly create picture-in-picture effects, title compositions using chroma or luminance keying, and even composite from a still picture imported into the internal memory of the unit. The unit can store up to four .bmp images in its internal memory. 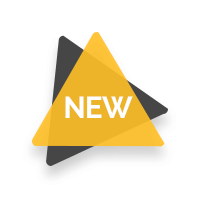 The VR-50HD is HDCP compliant, and you can set it to output HDCP compliant video. However, with HDCP activated, the unit will only output through HDMI (picture and audio), as the SDI, RGB/Component and USB outputs are deactivated. 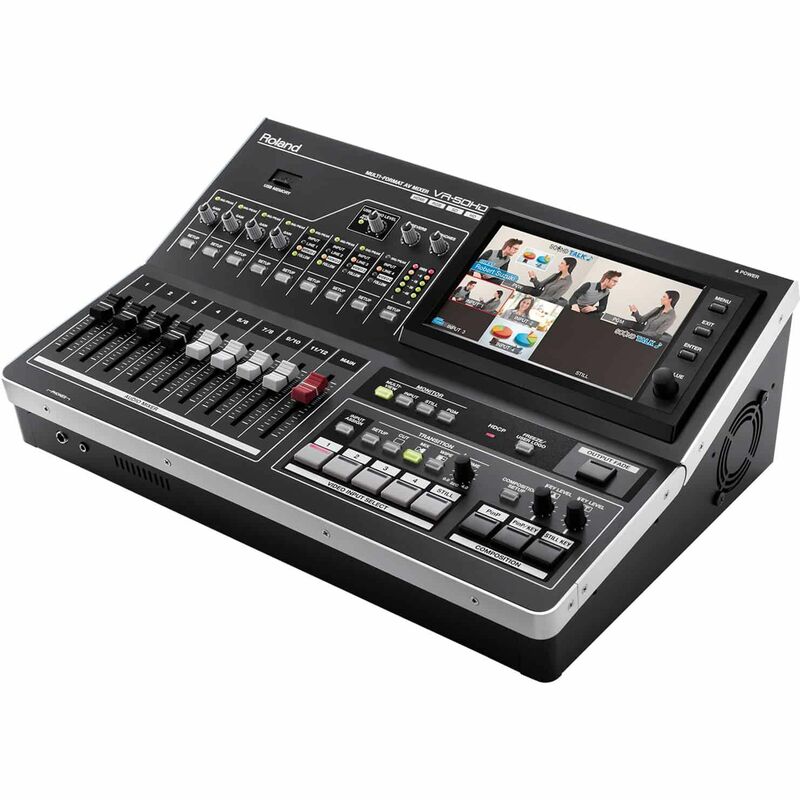 The VR-50HD is equipped with a large 7-inch touch-screen LCD screen that features a seven-way multi-viewer that can display four input pictures, composited material, and program out simultaneously, thus eliminating the need for external monitors. You can also switch to quad multi-view. Advanced settings for picture and sound can also be made using the touch-screen, so you can get started right away without having to read the manual. 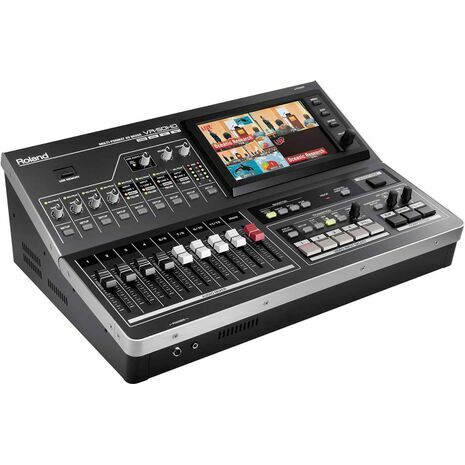 The 12-channel digital audio mixer features twelve inputs that support audio from four microphones, computers, and DVD players. The VR-50HD supports capturing and mixing 3G/HD/SD-SDI/HDMI embedded audio. Built-in delay and equalizer features make possible a broad range of use, from seminars to musical events. Using faders 5 through 12, you can switch between line, HDMI and SDI at any time. Using the "Audio Follow" feature, you can make the audio switch automatically to the active video source. Pressing the Setup button above a fader displays advanced settings for parametric equalizer, audio delay, reverb and more. The "touch & turn" feature makes parameters easy to change by touching the corresponding knob on the display and turning the physical knob to set the value. An audio delay adjustment menu allows you to adjust the audio timing to maintain sync with the picture. The VR-50HD supports remote control via the RS-232 port using an optional RS-232C device, or an optional Visual MIDI device via its MIDI connector. The USB 2.0/3.0 output enables web streaming connecting to a computer running a live streaming service. Recording is equally simple by using QuickTime or the dedicated Windows/Mac capture software, the Video Capture for VR. The USB port supports video formats up to 1080/59.94p through USB3.0 and up to 720/29.97p through USB2.0. 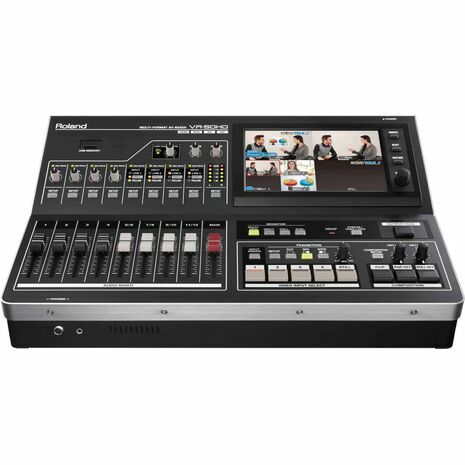 The resolution and frame rate of video format and audio level and delay can be changed thanks to the dedicated scaler and the dedicated volume and delay for the USB output. The Video Capture for VR is application software that captures video and audio signals output from the VR-50HD USB port and saves them to movie files on your connected Windows/Mac. 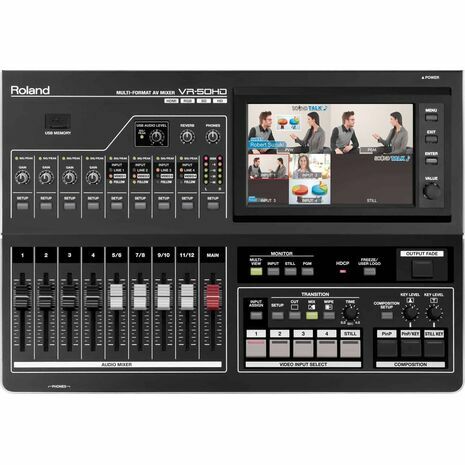 The software is available for download from the Roland website. Maximum 1920 x 1080 pixels, 24-bit per pixel, uncompressed.